Makeup has always had the power to make great transformations but have you ever considered doing your makeup differently. Tried something different and out of the box? 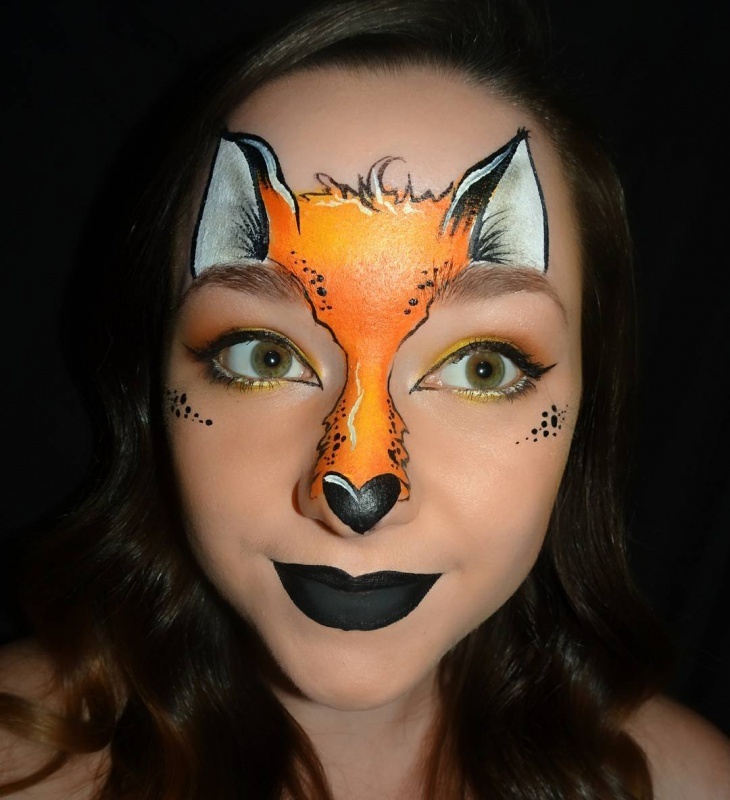 Well with Halloween just a few months away, we thought we could give you different creative makeup designs to flaunt this time. 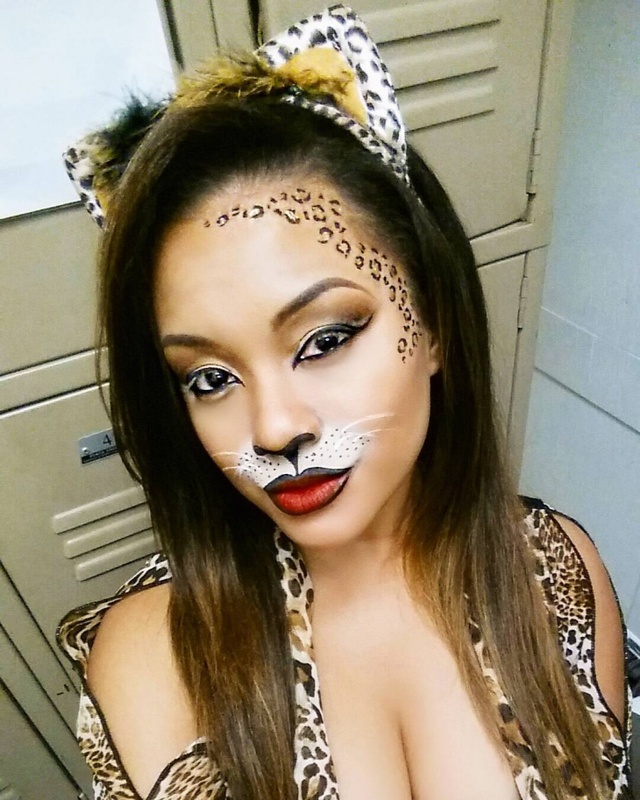 The leopard print is something used very often on Halloween but just a mask or the hand band won’t do it anymore. You have got to get the makeup aspect right too. 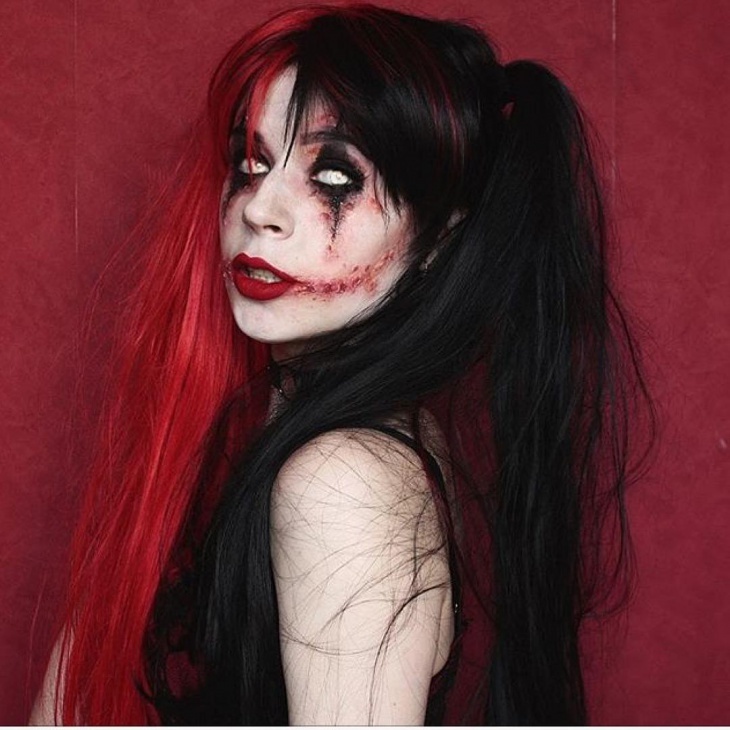 The red lipstick with the black outline is done perfectly and everything else added on to her face is so well thought off and is carried out so nicely. Kim K never fails to surprise us. She has minimal makeup on but her red hair is what is standing out and brings all the attention to her. This would be such a glamorous look to show. All the attention would definitely be on you. We love how multiple colors have been used and how each and every color is well planned out. Even the lens gives the overall look a perfect feel. The yellow and blue makes it look dainty and worldly. This gives out such a chic and sophisticated feel and look. The peacock is drawn out so well and there is so much intricate work put into it. 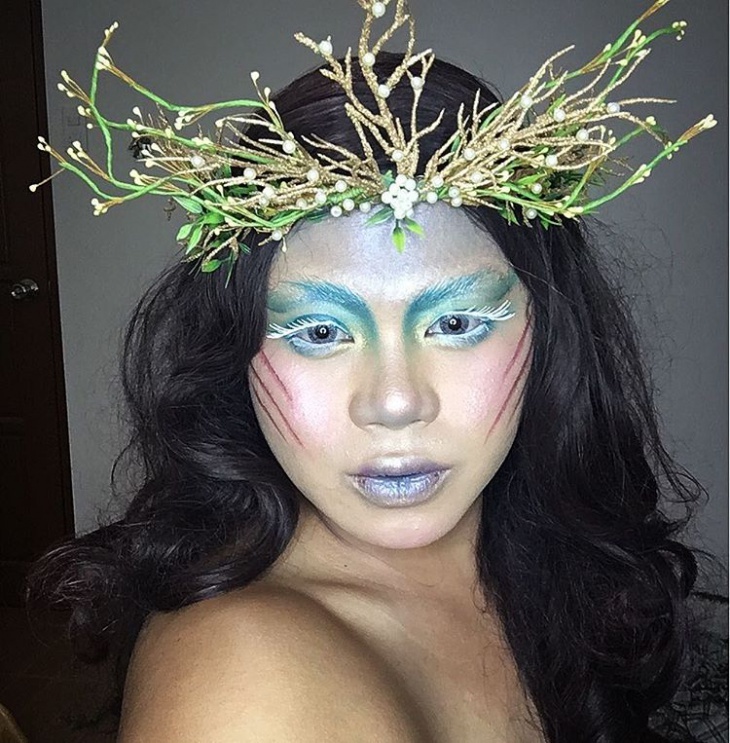 The green and blue might be dark colors to use as makeup but not when you are getting all creative. This one is simple yet classy. There is basic makeup like foundation and contour but the eye shadow is what makes all the difference here. The winged eyeliner and black eye shadow gives out a caty look and will make you look stylish. 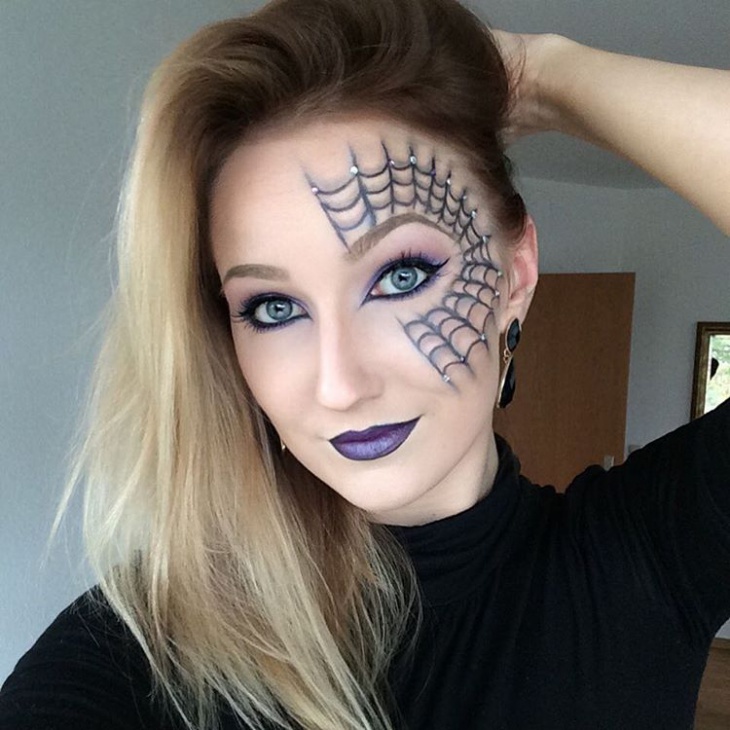 The spider web done on one eye will make you look very fashionable. The purple touching done to it is very lovely. We would recommend this to anyone who wants to do something creative but at the same time wants to keep it minimal. This one is going to scare people for sure but isn’t that the whole point of Halloween. 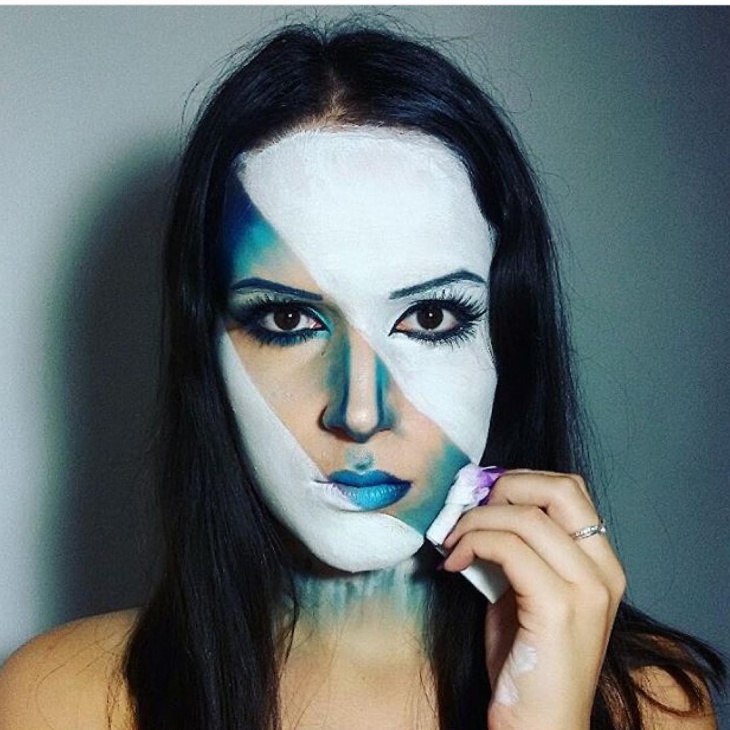 This half painted face looks so good. 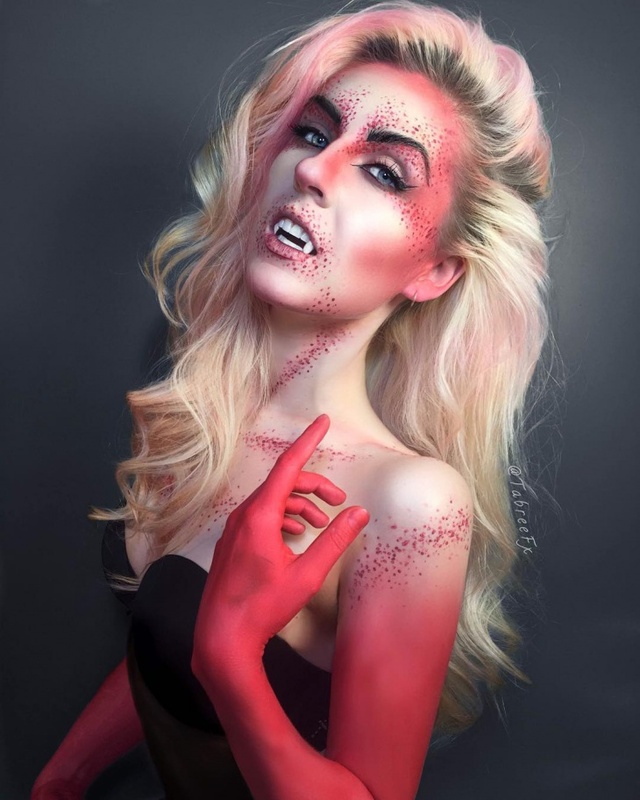 Half of it is well done with perfect makeup and the other half with a scary demon that is also done to perfection. We for sure did get scared while looking at it. 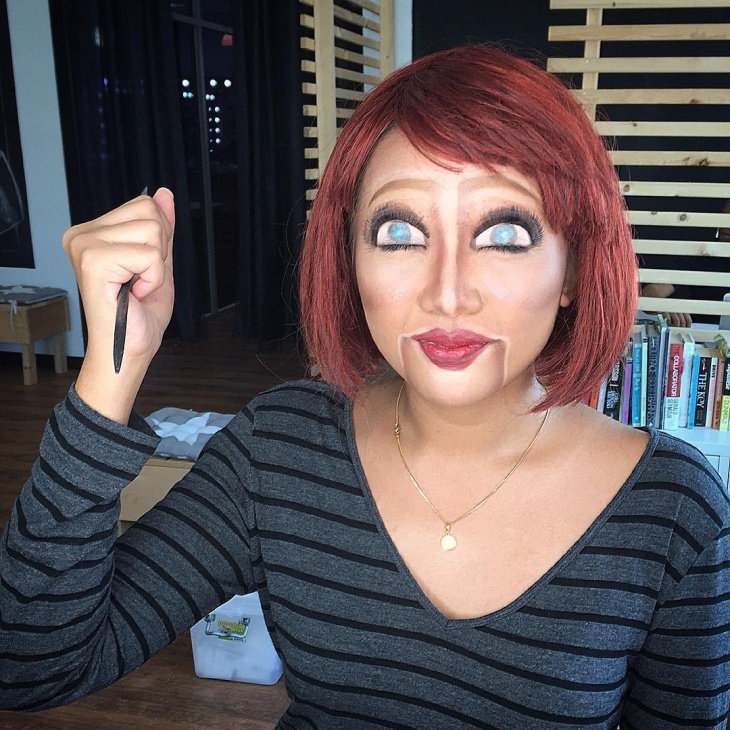 The makeup is done in a realistic fashion and looks scary. Have you always fantasized about being a mermaid as a kid? Well, you can try it this time by doing your own makeup. 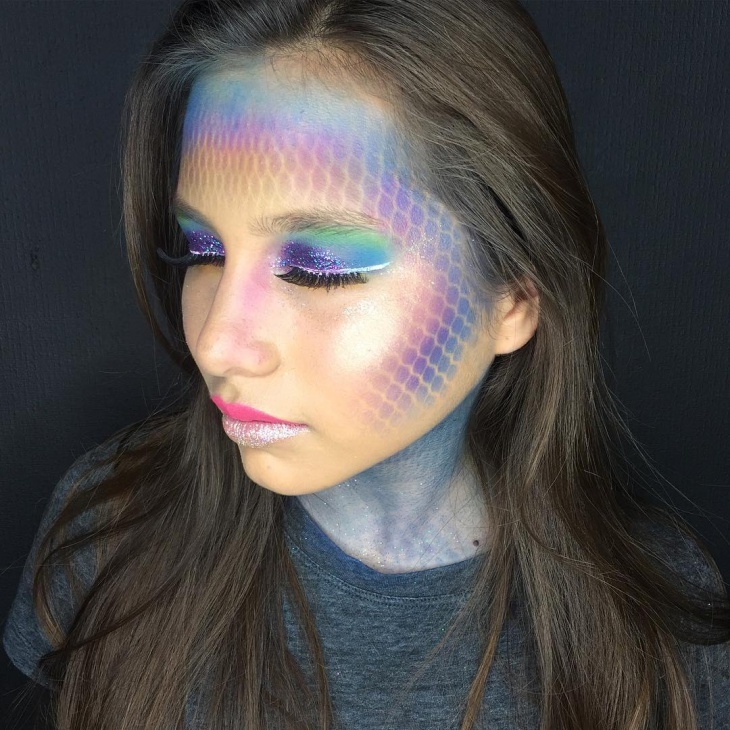 This mermaid design also looks like a rainbow and the glitter used just gives out a happy mermaid feel. Don’t you love how nicely the circles onto her face are done? This needs a lot of patience and planning. These rainbow colors used and a creative wig makes this look very unique. 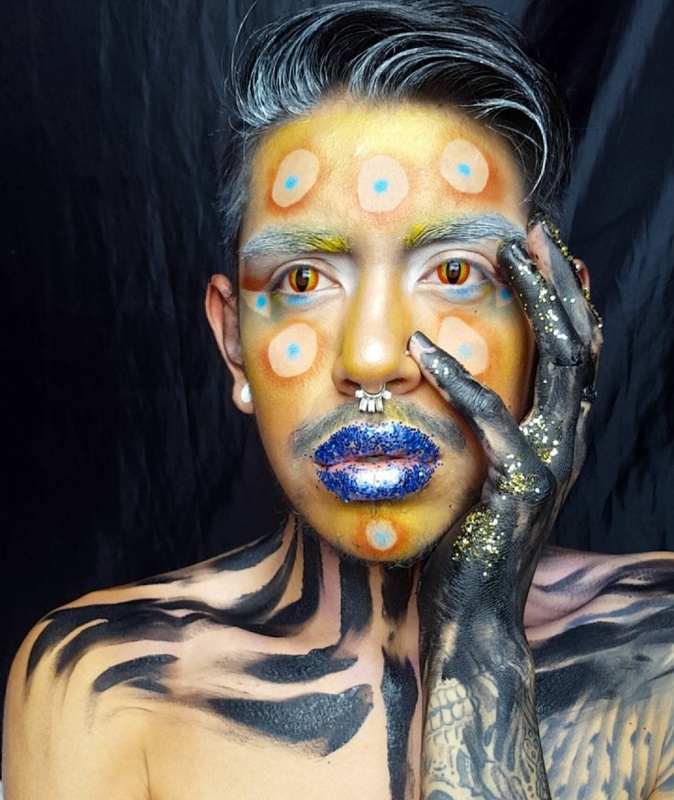 The main aspect of this makeup is to use a lot of glitter. 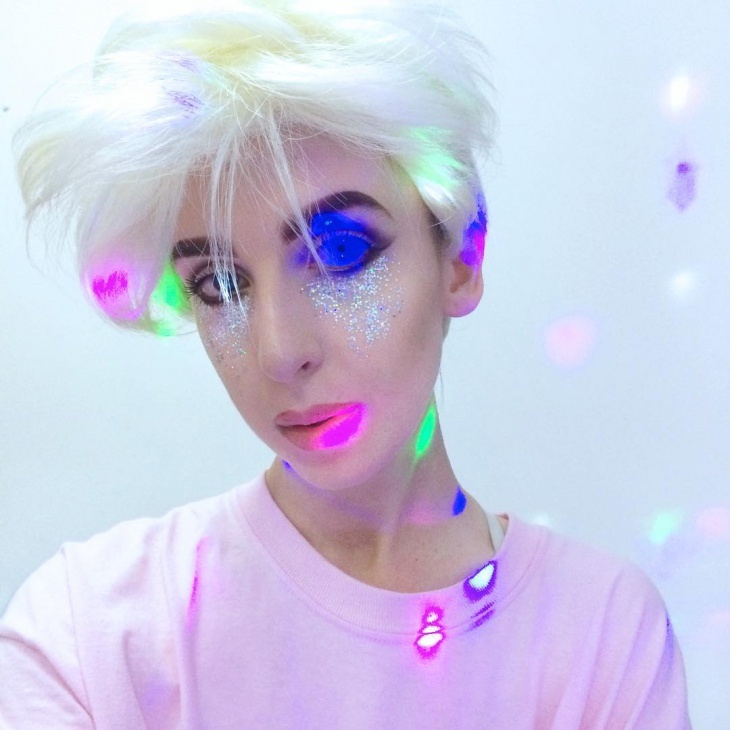 Glitter always makes you look shiny and beautiful. 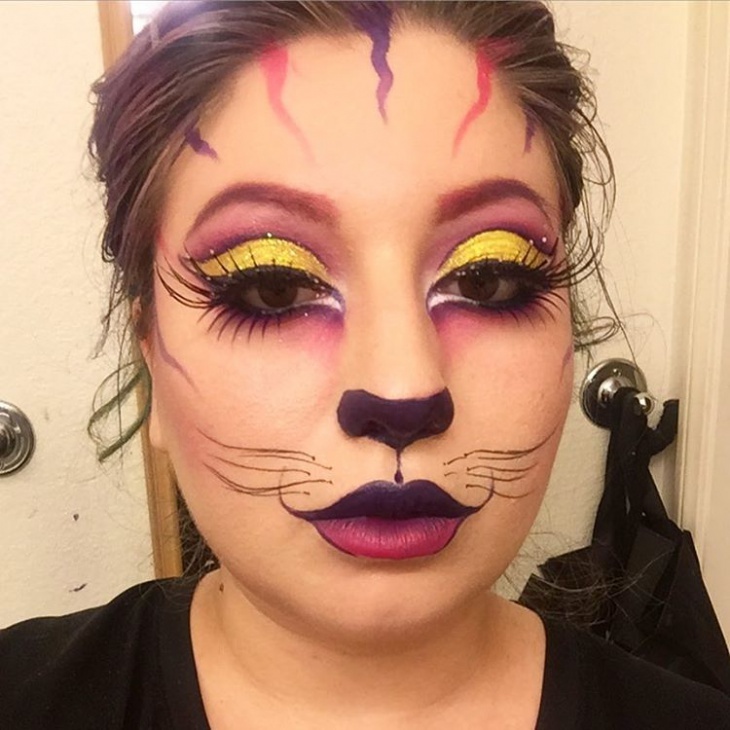 Tiger is another costume we see on Halloween but this time you will be spending less on your costume and more on your makeup. 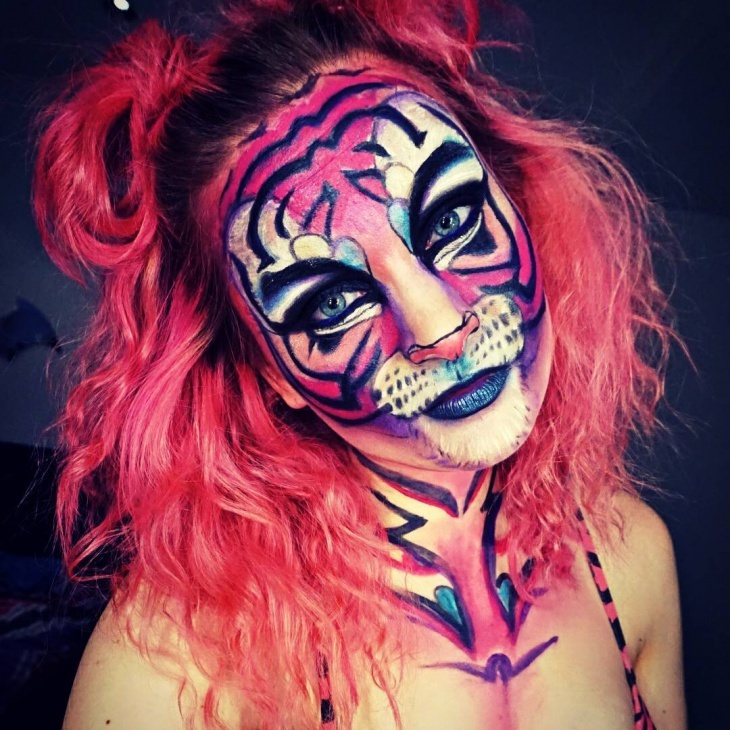 The face will pretty much bring out the entire tiger concept. 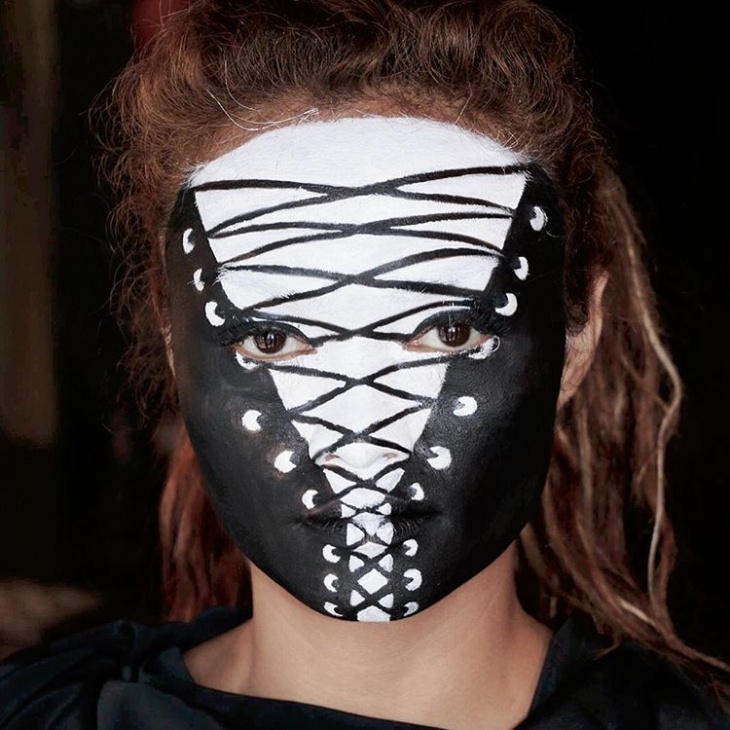 We love the intricate makeup work done and there is so much creativity and thought put behind the whole thing. 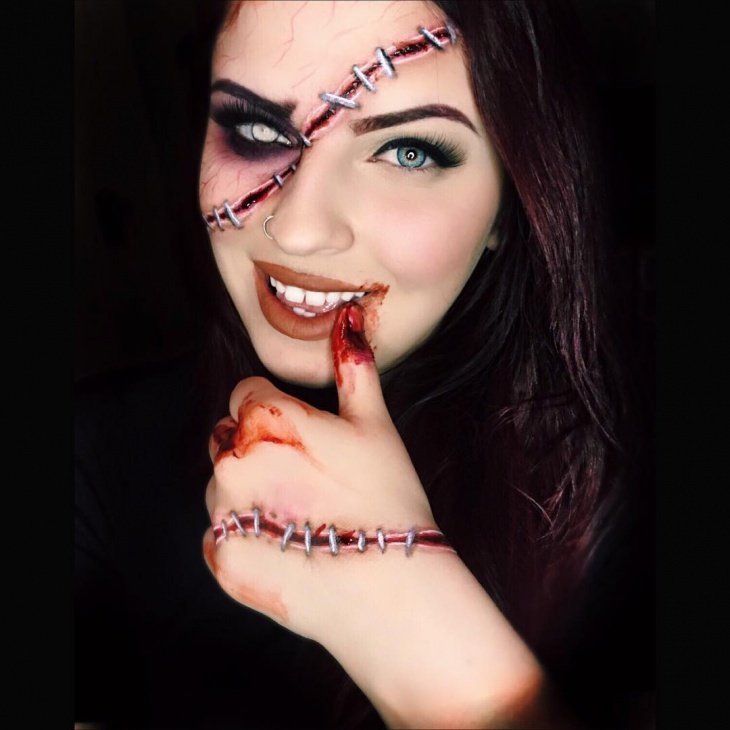 These are some of the crazy makeup designs we have come across and we think you should try them and have fun this Halloween.